Spanish Talmudist and Hebrew poet of the twelfth century. He was the author of a Hebrew translation, from the Arabic, of a casuistic dissertation of Isaac Alfasi on a passage of Shebu'ot. 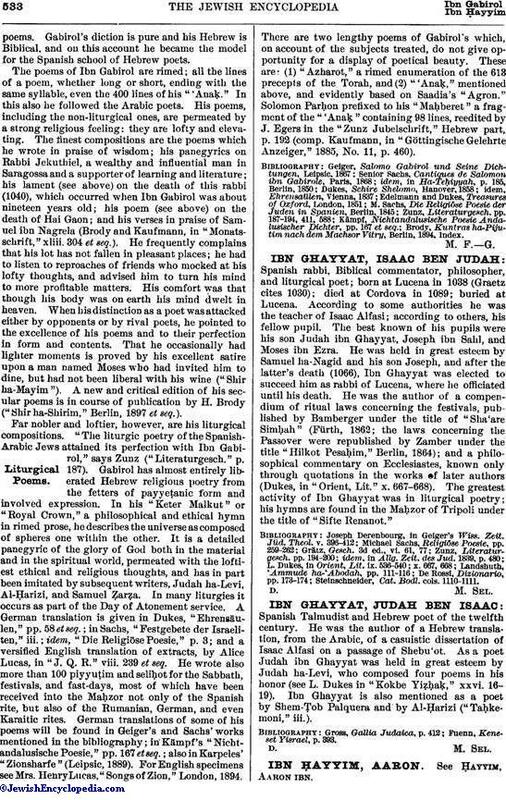 As a poet Judah ibn Ghayyat was held in great esteem by Judah ha-Levi, who composed four poems in his honor (see L. Dukes in "Kokbe Yiẓḥaḳ," xxvi. 16-19). Ibn Ghayyat is also mentioned as a poet by Shem-Ṭob Palquera and by Al-Ḥarizi ("Taḥkemoni," iii.). Fuenn, Keneset Yisrael, p. 393.